Don't you wish you could send your holiday guests home with a little taste of Oregon? Or maybe you're looking for a gift to thank someone for hosting YOU this holiday season, what then? With one of the many gift packs and gift baskets available from Your NW, you'll be able to find the perfect gift for everyone. Our gift packs come ready to gift in our special Your NW gift boxes, and come with a variety of your favorite Columbia Empire Farms foods. Our Marionberry Deluxe Sampler is a perfect example. Featuring all of a marionberry-lovers favorite foods, including preserves, spreads, syrups, scone mix, even our marionberry BBQ grill and glaze, plus chocolate covered hazelnuts, this pack is sure to please. Covered with Cello wrap and presented with a beautiful bow, our gift baskets are perfect for raffling at corporate events or just as a thank you for your wonderful holiday hosts. 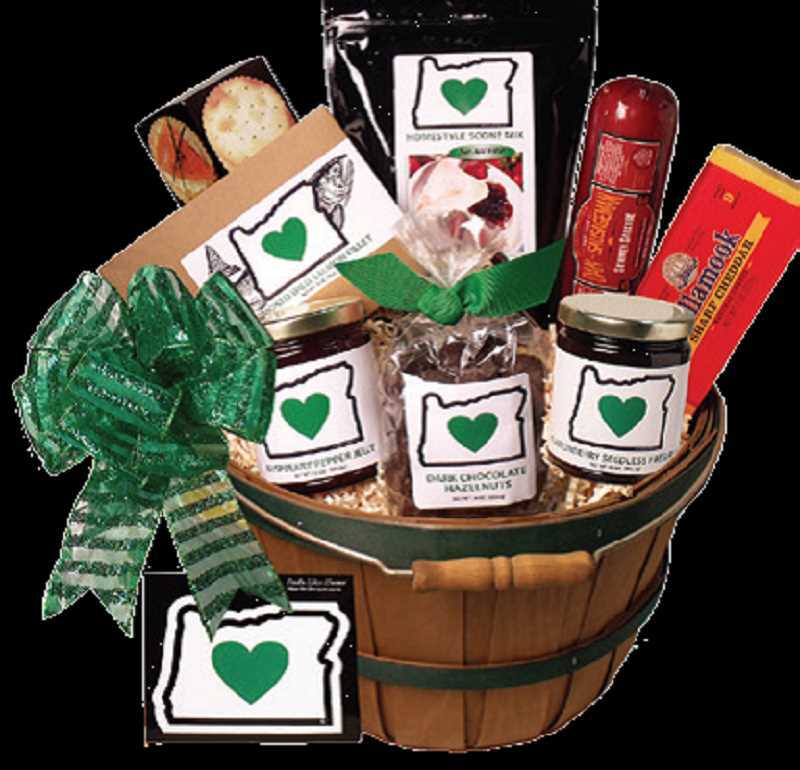 Everyone's Favorite basket includes not just Columbia Empire Farms marionberry preserves and syrup, smoked wild salmon, and roasted and salted chocolate hazelnuts, but also the Oregon Hazelnut Country Cookbook. Written by Jan Roberts-Dominguez and featuring 245 pages that celebrate the cuisine of the Northwest, this unique book and basket make for a great holiday gift. For more great gift packs and other fun gifts like our famous "Poop" toffee, visit yournw.com today!